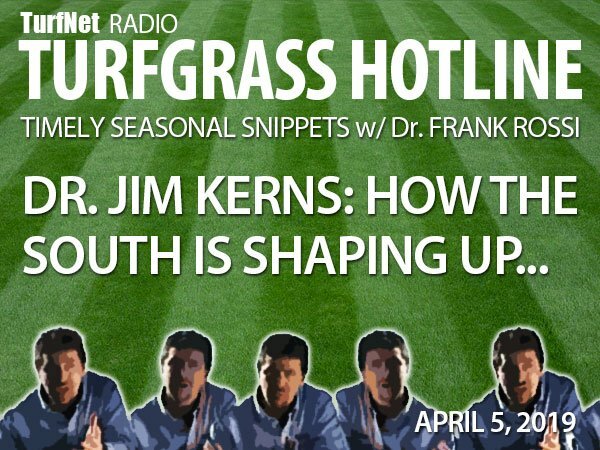 Kicking off the Turfgrass Hotline on TurfNet RADIO, Frank Rossi chats with Dr. Jim Kerns of NCSU about how southern turf is shaping up for the 2019 season. Recorded on April 5, 2019. Timely Seasonal Snippets brought to you by DryJect and Civitas Turf Defense.